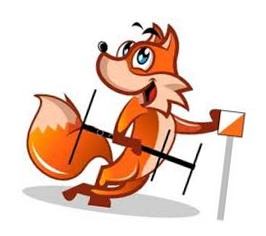 Coming up in June, in place of our regular meeting we will be having an antenna building session for those of you wishing to build a fox hunt antenna. We need commitments from those wishing to build the hand held tape measure antenna in order to buy the parts. Estimated cost will be under R200 for everything. 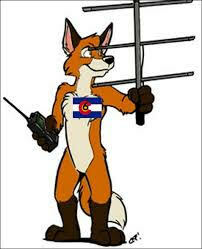 Please let myself or the Secretary know by the end of April if you wish to join in and build this small Yagi antenna. The April/May 2019 edition of the Cape Town Amateur Radio Centre's bi-monthly newsletter "Ragchew" is now published. 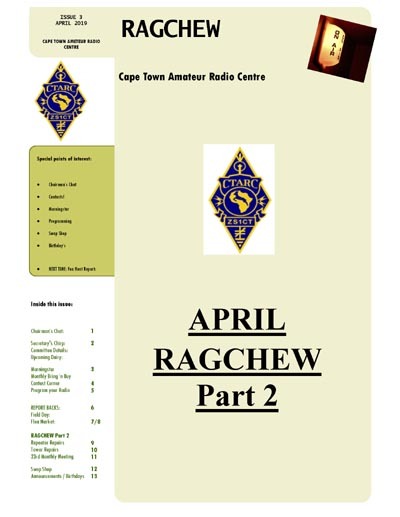 We have a bumper edition - TWO Ragchews this month! Grateful thanks yet again to our editor, Anne, for all her excellent work in putting together this month's edition, and to all those who contributed articles. Our forthcoming May monthly meeting takes place at 14h00 at the CTARC clubhouse on Saturday, 25 May 2019. 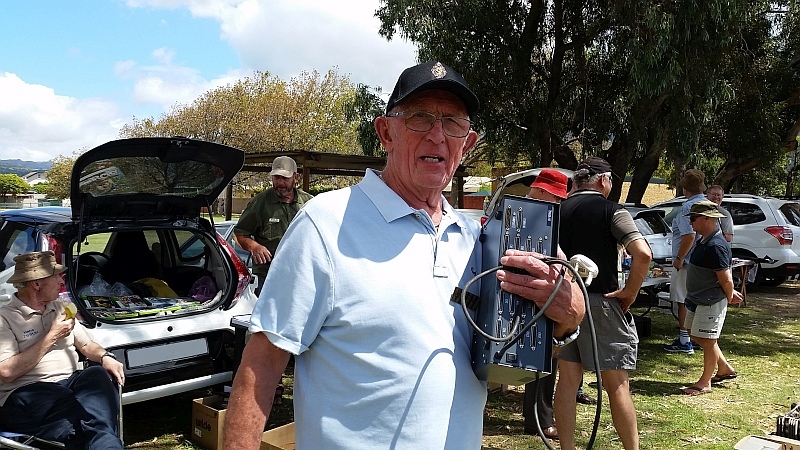 Barry ZS1FJ, who has participated in many DX-peditions in his long and interesting amateur radio career, will show us a video on the Scarborough Reef DX-pedition. It promises to be a most interesting show. We will also have the usual bring-and-buy SwopShop after the meeting. Further details of this forthcoming meeting will be announced on the CTARC blogspot, in our Ragchew Newsletter, and on our Sunday morning bulletins at 08h30 on the 145.750 Mhz repeater. Rob has much experience in getting these solidly-built radios back into service, and has worked on quite a variety of them. We were treated to a demonstration of some of them back in our January "Show and Tell" meeting. Come early to secure your seat as this promises to be a most interesting talk. 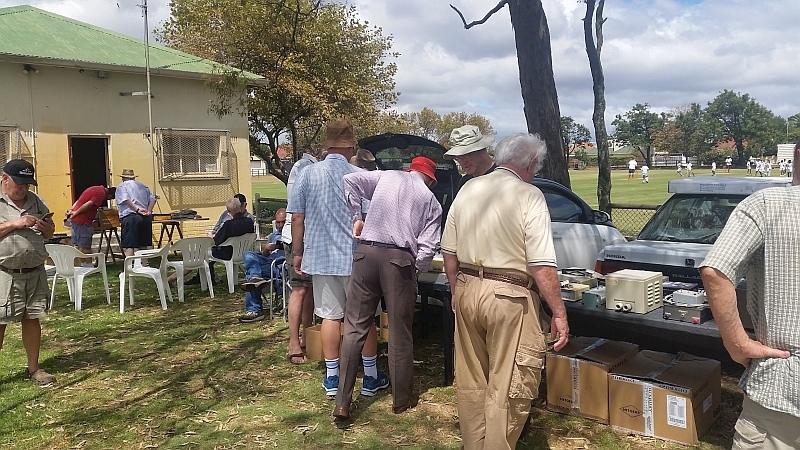 After the meeting, we will also have our usual bring-and-buy SwopShop where members can buy, sell and swop equipment surplus to their requirements. You might even walk off with a green radio in your pocket! As always, we kindly request that all items brought along to the meeting be removed from the clubhouse afterwards. Following on the success of our previous Fox Hunts, we have decided to hold another one! 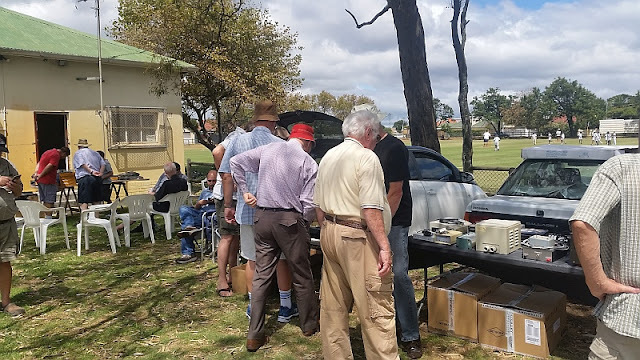 The event will take place at the CTARC clubhouse at 11h00 on Saturday 27 April 2019, before the monthly April meeting which takes place at 14h00. Bring you portable rig and a directional antenna along and test your radio direction-finding skills! 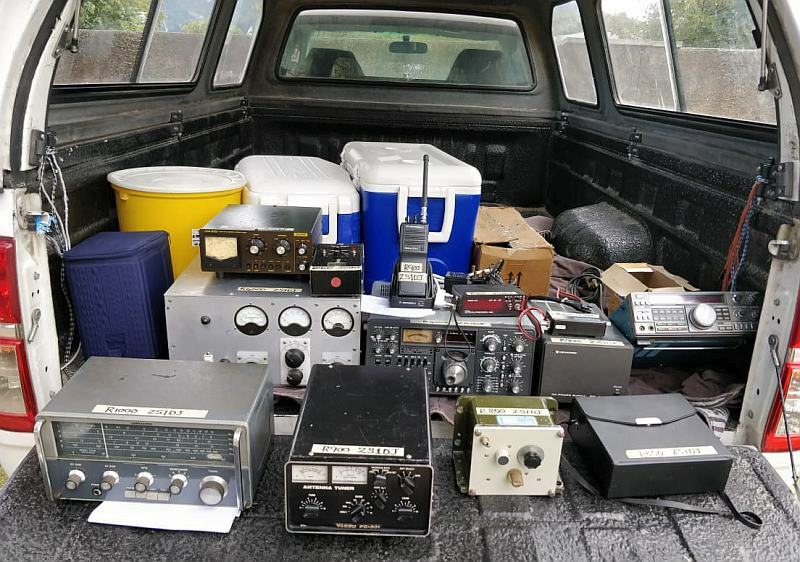 Learn about how to find a hidden transmitter from others who have discovered just what fun it is! 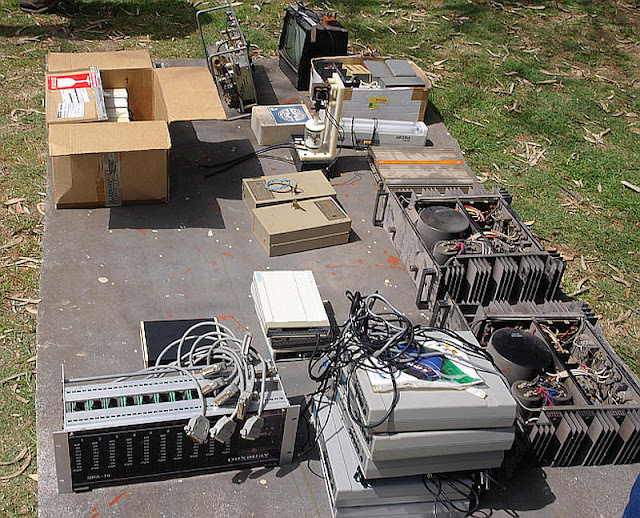 Our June meeting will include a Show and Tell session on how to build your own DF antenna. See you at the clubhouse at 11h00. 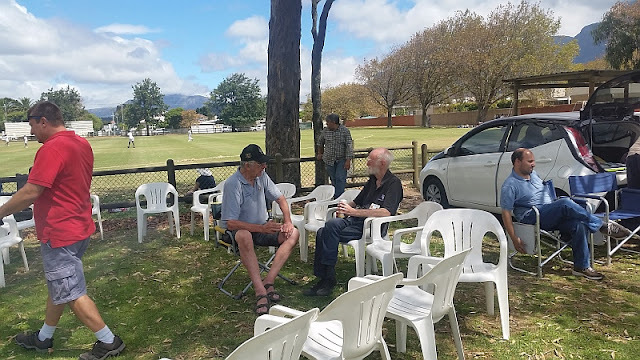 CTARC Committee members are reminded of the forthcoming meeting at 19h00 on Tuesday 23 April 2019 at the clubhouse. PLEASE NOTE THAT THE MEETING AS BEEN SHIFTED FROM ITS USUAL MONDAY EVENING SLOT. This is because Monday 22 April is a public holiday. 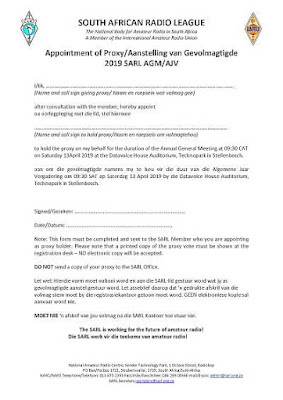 Please be kind enough, if you are not going to the upcoming SARL AGM in Stellenbosch, to complete and sign the attached proxy form, and send by e-mail or by fax either to an attending member listed in the e-mail below, or in favour of the Chairman of the CTARC to the clubs e-mail address: ctarccapetownarc@gmail.com and the Secretary will get your proxy to the member of your choice. Please send us your signed proxy by the latest on Wednesday, 10 April 2019. Download the Proxy Form as a PDF file [here]. 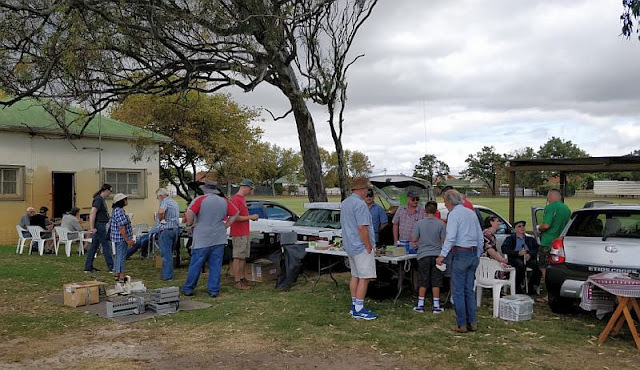 Our March meeting, held at 14h00 on Saturday 23 March, was very well attended as Tom Ambrose’s talk on operating the LEO (Low Earth Orbit) satellites was a big draw card. Many hams confuse working the more sophisticated SSB satellites with the simple FM birds. 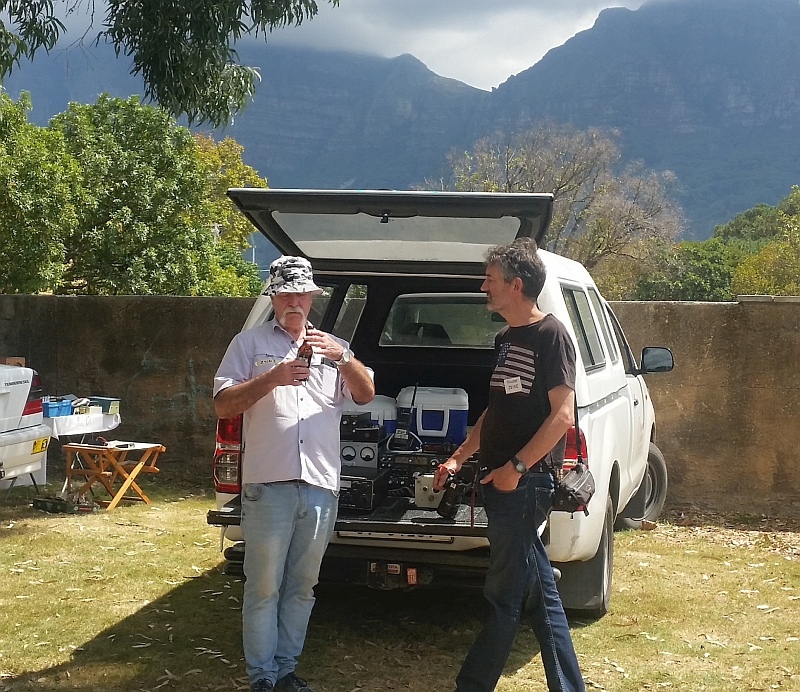 Tom explained how easy it was to work these flying FM repeaters with just a dual-band handheld radio or with separate 2 metre and 70 cm mobile radios. He went back to Sputnik and the evolution of satellites right up to today’s most recent birds. Great software for tracking the satellites is available free of charge on the web for both PCs and Android devices. 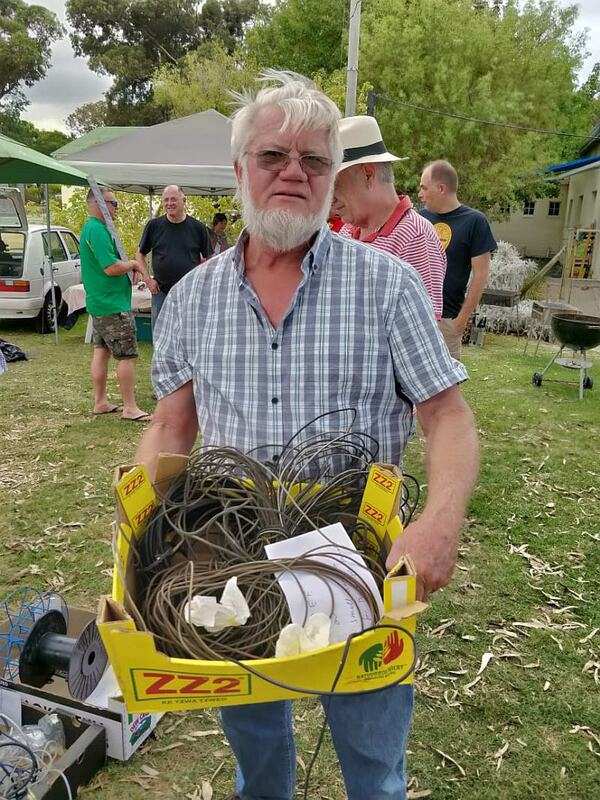 Tom gets excellent results with just vertical antennas mounted on his bakkie. 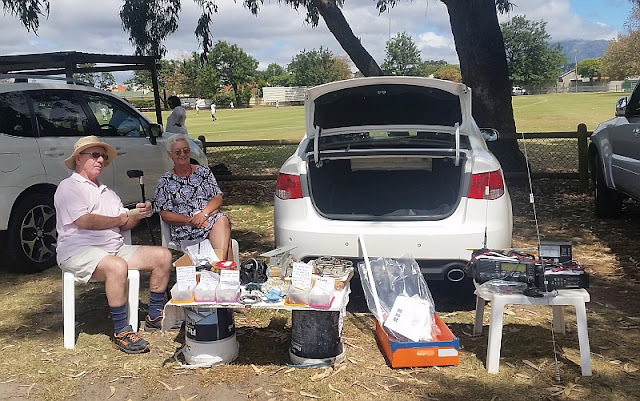 He enjoys driving around RSA and working from various Maidenhead grid squares as many satellite operators collect different grid squares like a DXer does different countries. 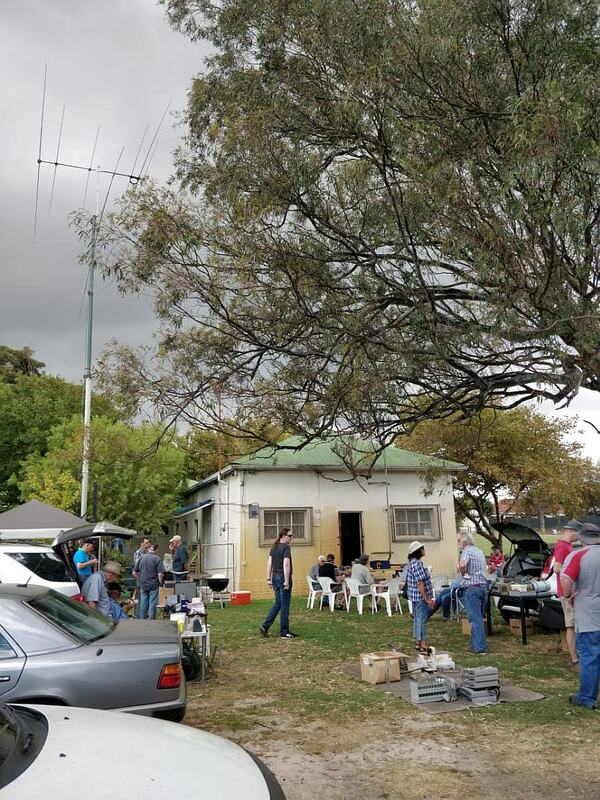 A most interesting meeting and I am sure it will result in a few more ZS1 call signs being heard from space. 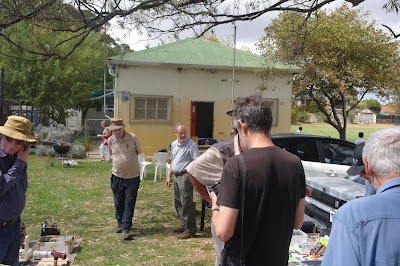 Before the main meeting on Saturday 23 March 2019, CTARC members were at work fixing the antennas at the clubhouse. I would like to thank everyone who assisted with the repair of our tower rotator system on 23 March, and a special thank you to James ZS1ZKZ. 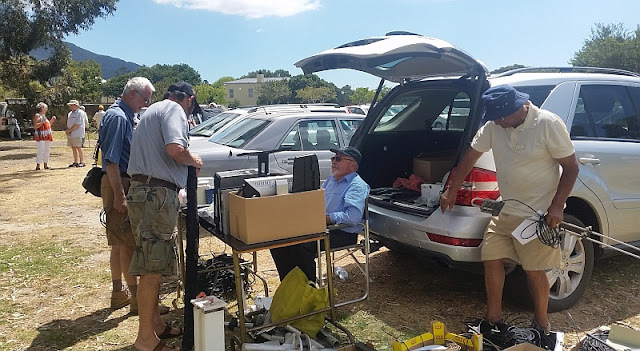 While we were all enjoying Tom Ambrose’s talk about satellites James was busing working and welding outside repairing the club’s tower and had been working on it since much earlier in the morning. He refurbished the winding winch and cabling system for the mast and completed the coupling to the rotator. James bought the new pulley, the new pillow block bearings and supplied the welding rods and tools in addition to getting his brother in law to help. He insists that all of that is a donation to the club and he won’t take no for an answer. A big thank you from all of us James. On the public holiday of Thursday 21 March 2019 several CTARC members gathered at the club’s repeater site to form a work party to repair the UHF repeater and mount the UHF antenna onto I.R. Pope’s new tower. The UHF antenna has been mounted on the wall of the repeater building below roof level since the previous tower had blown down in the major storm of June 2016. The back-up batteries were cleaned and a spare cable was identified and readied to be installed up the tower leg to mount the UHF antenna underneath our existing VHF antenna. Upon inspection, Paul ZS1S discovered that the cable connecting our VHF antenna to its antenna had never been waterproofed! Paul checked the connection and installed the waterproofing. Unfortunately, before he could install the UHF antenna, the wind picked up making further tower work unsafe and he had to come down. While we were there we also checked the SWR on the VHF antenna and found it to be extremely high. 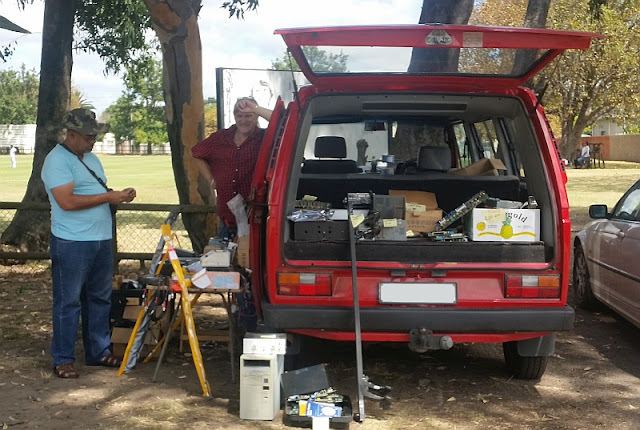 Using his antenna analyser, Peter ZS1PGC discovered there was a very bad connection within the repeater building. Upon inspection we found a badly corroded connection and repaired it. 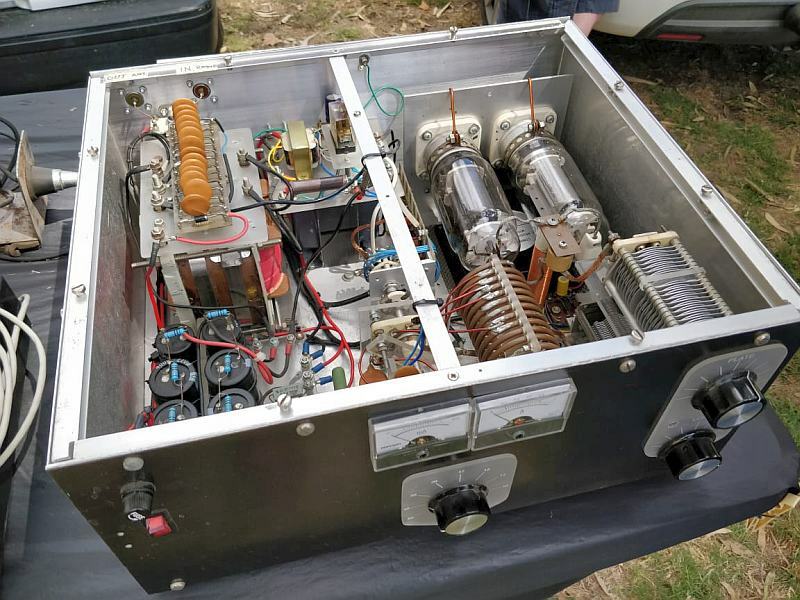 The SWR was now excellent and the repeater works much better than before. I would like to thank Lem ZS1LEM, Paul ZS1S, Dave ZS1SG, Peter ZS1PGC and Keverne ZS1ABU for coming up the hill and assisting that day. We still need to get our UHF antenna up on the tower and planning is in progress for that. 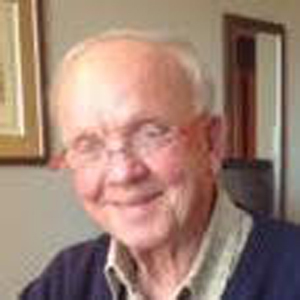 This Saturday, 23 March 2019, Tom ZS1TA will be delivering the long anticipated talk on ‘Operating the Ham Satellites’. 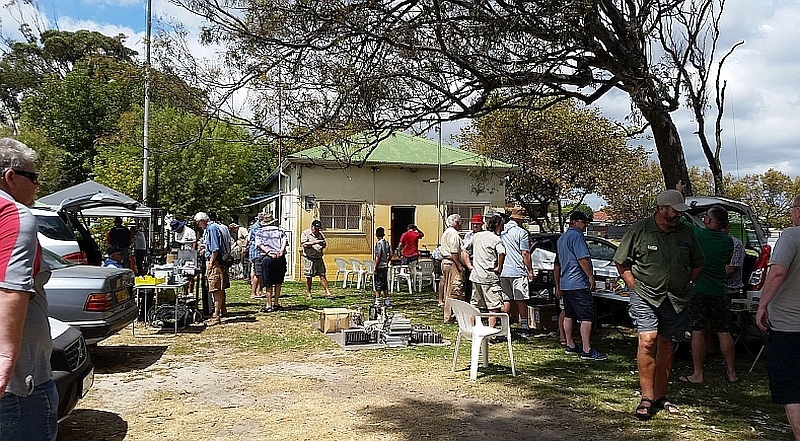 This talk promises to be very interesting and informative, both for the aspiring satellite operator or those who would just like to know more about how it is done. Tom regularly makes satellite contacts around the country with just the 2 m / 70 cm FM radios in his vehicle. And yes, we have made contingency plans for the scheduled load shedding that afternoon. Don’t miss this one! See you all there 14h00 at the club house. NB This event has now taken place. read the report [here]. 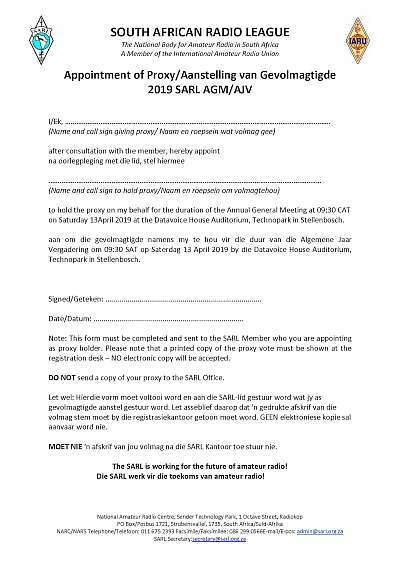 Please see the e-mail below from Rassie ZS1YT regarding the Proxy Form for SARL members who will not be attending the SARL AGM. If you would kindly fill it out and sending it to your chosen member who will be attending the meeting that would be most appreciated. At this point I know the following members of our committee have already registered and will be attending the AGM: Peter ZS1PGC, Paul ZS1S, Rob ZS1SA. 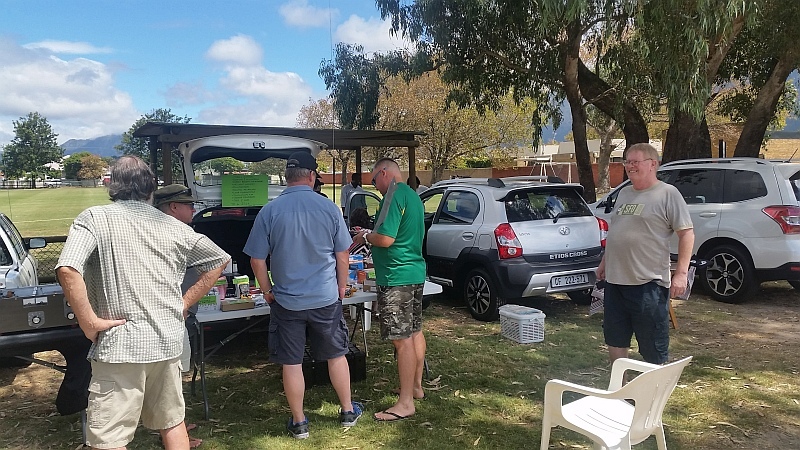 (You are welcome to hand in your signed proxy form to ZS1SA or ZS1PGC or ZS1S at Saturday's meeting on 23 March at 14h00 at the CTARC clubhouse). Morning Rob and Paul. I notice that you will be at the SARL AGM. Please ask your members(who will not be attending) for their proxies as we have to make sure that there is enough members and proxies present at the meeting otherwise the meeting is unconstitutional and needs to be called again at a later stage. CTARC Committee members are reminded of the forthcoming meeting at 19h00 on Monday 18 March 2019 at the clubhouse. 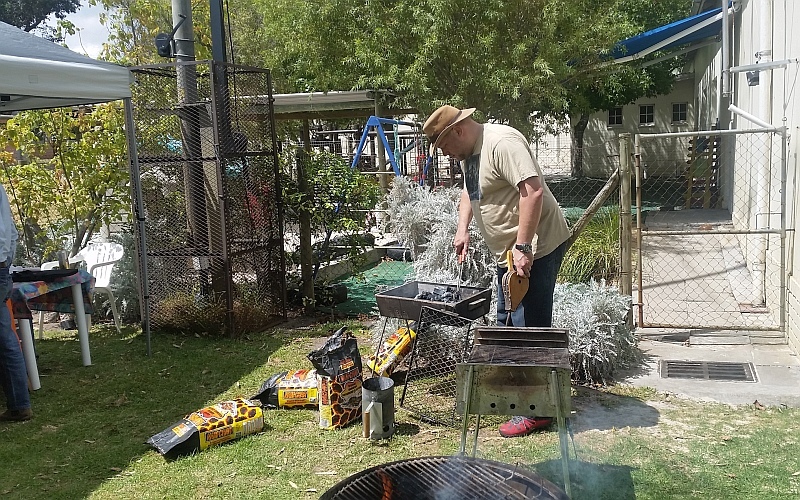 Organizing the 2019 SARL Symposium has now been underway for some time, and a lot of groundwork has been covered. 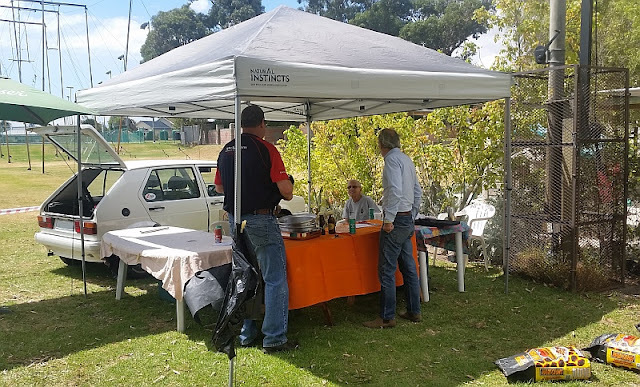 We are confident that by now you are well aware of the events which constitute the symposium, which will take place on the 12th April 2019 at the Techno Park in Stellenbosch. 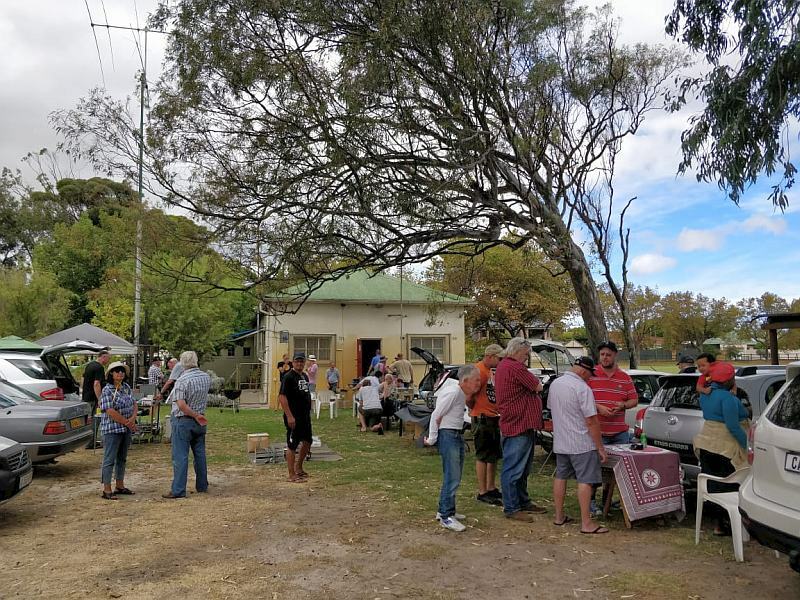 Unlocking Amateur Radio Technology promises to be a very exciting event that Radio Amateurs who want to get more from their hobby should attend. We are also in the fortunate position of having representation by universities, industry and research organizations. This is the ideal opportunity for us to get together and share our experiences and broaden our outlook in what is happening in other related fields. So, do not not let this opportunity slip by! Please register timeously to ensure your seat and presence at the evening cocktail. Book early - there are only 50 seats available at R250, after that registration will cost R700. 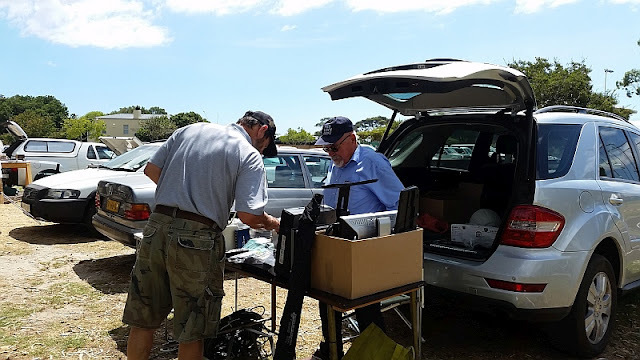 To keep Radio Amateurs abreast of developments, updates will be published in News Bulletins, on the SARL Website and in Newsletters and other media. 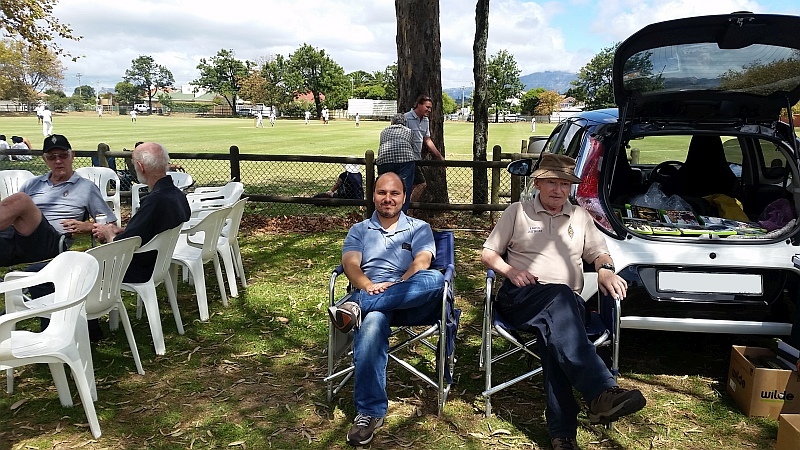 The CTARC will hold their March monthly meeting on Saturday 23 March 2019 at 14h00 at the usual clubhouse venue in Rondebosch. Usually we don't hold another meeting in March because the annual flea market, which traditionally is held on the first Saturday of that month, is enough to occupy us for a while thereafter! 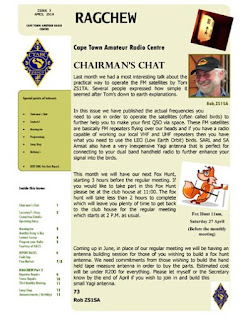 However, Tom ZS1TA has kindly agreed to give a talk on Amateur Radio and Satellites on the abovementioned date. 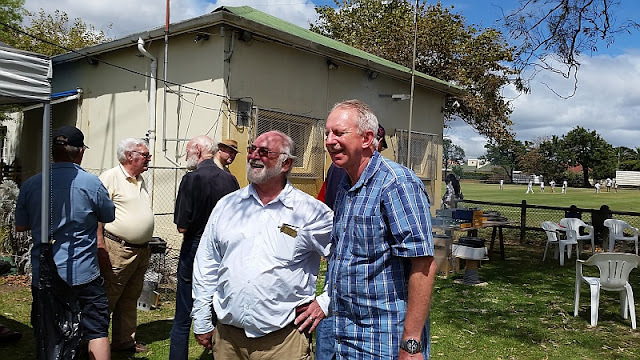 Tom is well known in radio ham circles and recently distinguished himself by holding the first QSO on two metres between South Africa and St Helena Island. He was also featured on a recent SARL bulletin, making contact with the same station via satellite. 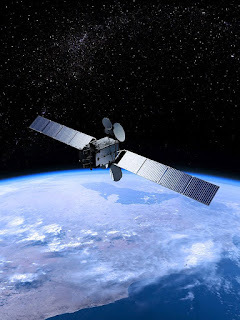 An exciting new development for radio hams is the geostationary Es’hail-2 satellite, launched in November last year. It carries amateur radio transponders and is now in a geostationary orbit at 25.9° East. These are the first amateur radio transponders to be put into geostationary orbit, and the coverage is expected to link radio amateurs from Brazil to the West of us to Thailand in the East. South African hams have already started making international contacts through this bird. It promises to be a most interesting topic. See you at the meeting. Come early to ensure your seat! The annual CTARC Mega Flea Market was held on the lawn outside the CTARC clubhouse on Saturday 2 March 2019, under partly-cloudy skies. 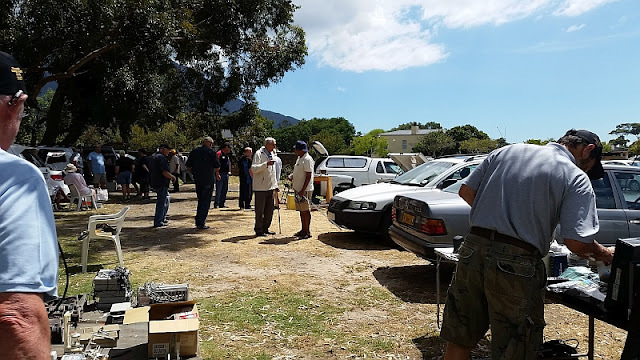 At 11h00 the committee members arrived to set up the catering area, gazebo [kindly provided by John ZS1AGH], tables, PA system and braai fires. 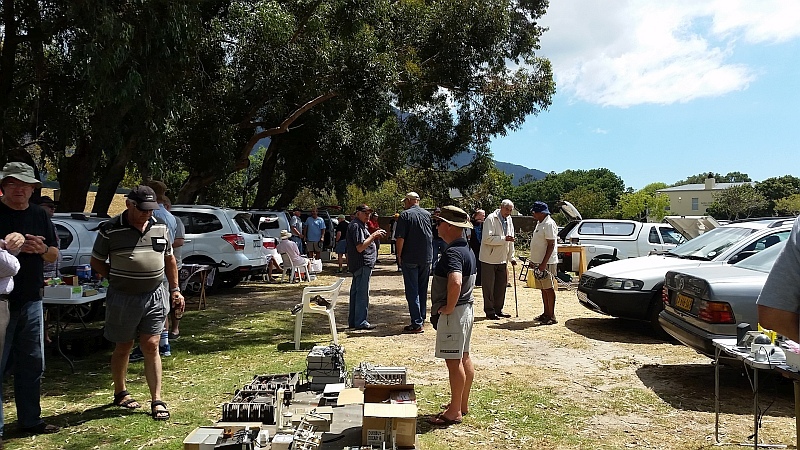 At 12h00 the sellers started setting up their stands and car boots filled with amateur radio gear, and at 13h00 [or thereabouts!] the main crowd arrived. It was a successful, well-attended event, with some 30 sellers offering a wide variety of items ranging from high-end transceivers, test equipment and antennas, down to nuts, bolts, cables and hardware useful to radio hams throughout our widespread community. Anne, Elsabe and others were kept very busy serving boerie rolls and liquid refreshment to the hungry and thirsty masses. Thank you for your sterling service, and also to John ZS1EQ who kept the fires busy until there was no more meat left to braai! 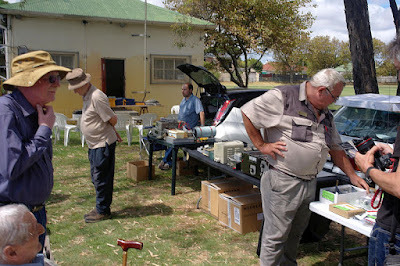 The South African Antique Wireless Association were represented on a stand manned by John ZS1WJ. 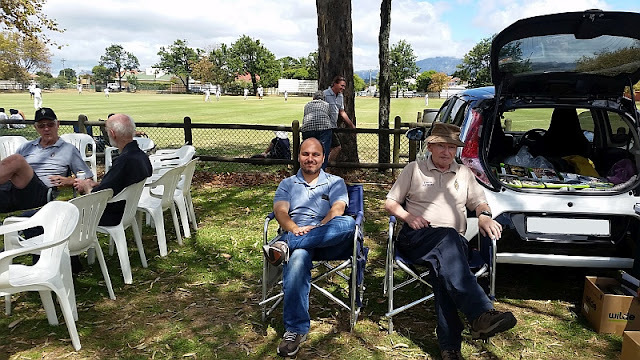 We were also glad to see Almeiro ZS6LDP who had come all the way from Pretoria. 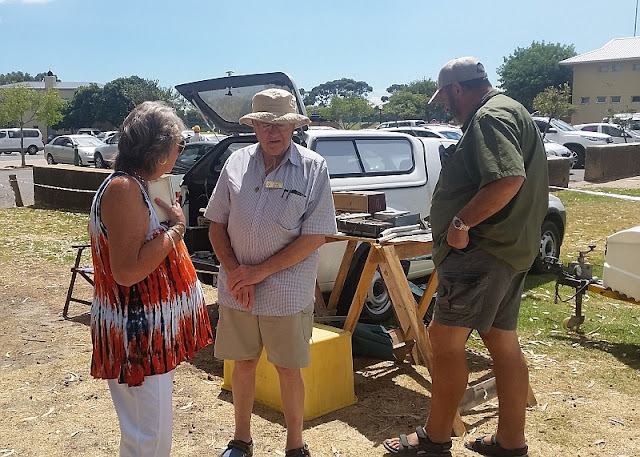 The flea market continued until late afternoon, with most attendees walking off with at least one or two serendipitously-discovered bargains. 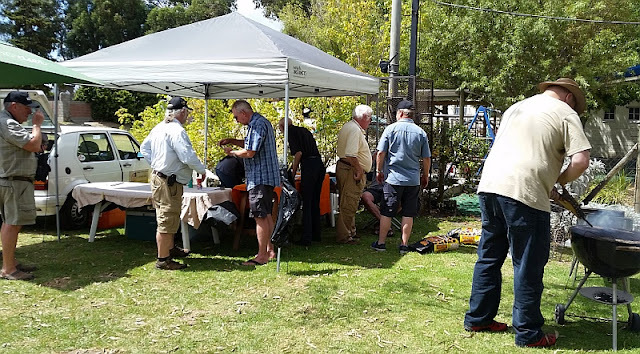 Below are some photos kindly provided by Chris ZSCDG and others. ...But one can always check out what's on offer in the interim! 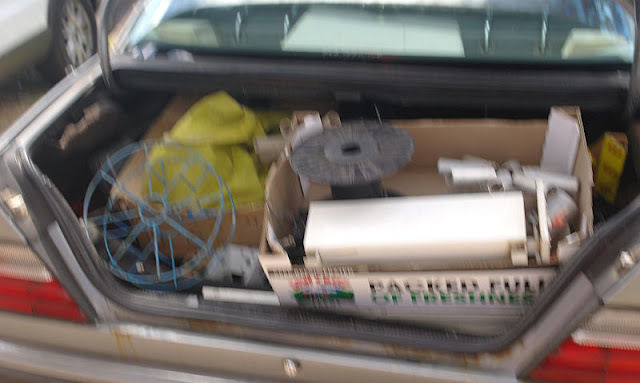 Packed full of freshness - and cable spools! 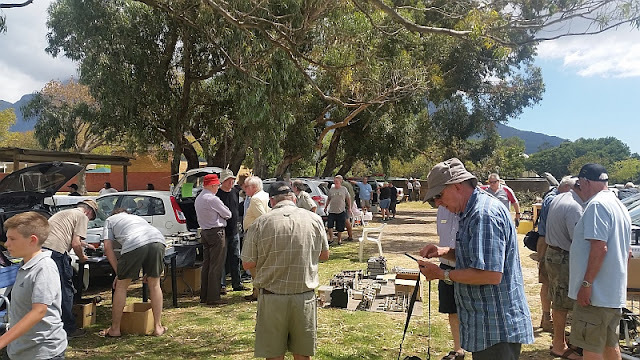 As ever, the CTARC flea market was very well attended this year. Always the opportunity to meet up with old friends and have a good natter. ... and swoops to secure it! 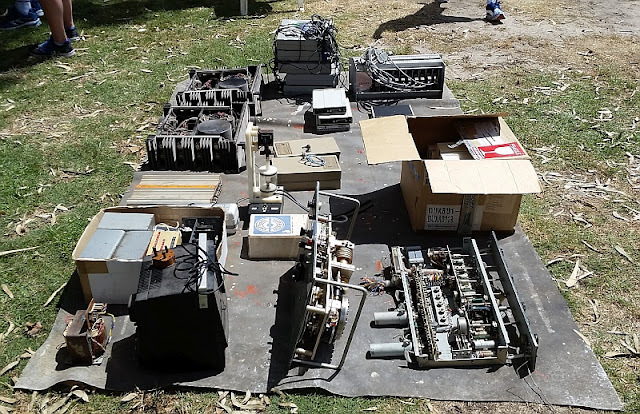 Someone brought along a whole combi's-full of gear! 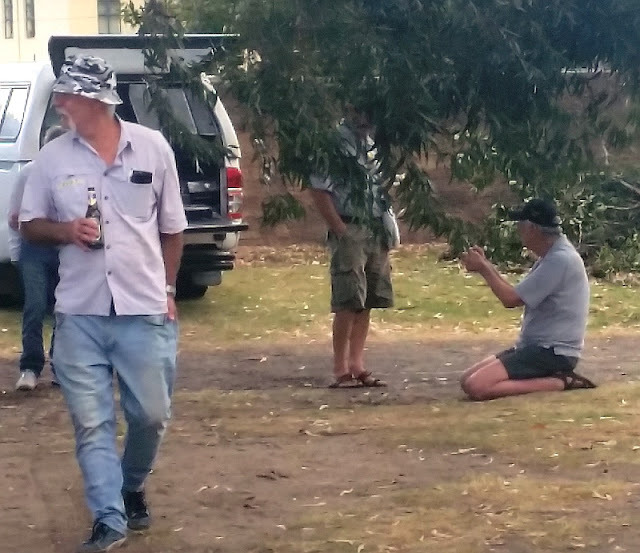 If the price of a rig on offer is too high, one may always resort to fervent supplication! One man's spaghetti is another man's treasure! Once again, the CTARC mega-fleamarket was a great event, to be repeated next year!